In recent years, bitter partisan debates have erupted over Medicare reform. Democrats and Republicans have fiercely contested issues such as prescription drug coverage and how to finance Medicare to absorb the baby boomers. But as Jonathan Oberlander demonstrates in "The Political Life of Medicare", these recent developments are an exception in the long-term history of the program. Contrary to popular belief, from Medicare's inception in 1965 until 1994, a remarkable bipartisan consensus governed Medicare politics. 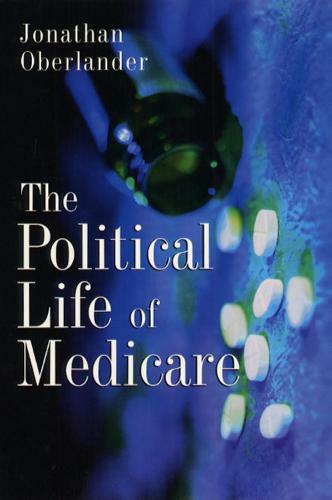 In "The Political Life of Medicare", Oberlander provides the first comprehensive history of Medicare politics, from the decades of consensus to current debates over Medicare reform. He shows how tensions embodied in the program since its enactment drove the politics of Medicare benefits, regulation and financing policy during the consensus period. For instance, rising Medicare costs led "both" liberal and conservative policymakers to embrace stronger government regulation of the program while rejecting expansion of benefits. Both parties also accepted the liberal vision of Medicare as a universal government program to provide federal health insurance for the elderly. Oberlander incisively traces how this consensus unravelled because of fundamental changes in American politics, the health care system and policymakers' attitudes about the elderly. Revealing how Medicare politics and policies have developed over the past several decades, and what the program's future holds, Oberlander's analysis should interest anyone concerned with American politics and public policy health care, aging and the welfare state. "A brilliant little book, combining a grasp of programmatic and political detail sure to appeal to scholars of health policy with crisp prose and careful argument accessible to policymakers and most of Medicare's beneficiaries. . . . Oberlander's analysis is organized around three persistent tensions in Medicare politics: the gap between the program's promise and its performance; the fiscal and administrative tug-of-war between private provision and public payment; and the political and actuarial dilemma of delivering 'service' benefits on a foundation of social insurance financing. . . . The meat of the book tackles the post-1965 history of Medicare's fragile consensus regarding program benefits, financing, and administration." --Colin Gordon "Health Affairs "
"Clearly, no one can claim to understand contemporary American politics and policymaking without understanding the Medicare program. Few scholars are more knowledgeable about Medicare politics than health policy expert Jonathan Oberlander. Combining rich, detailed narrative with acute political analysis, Oberlander offers an illuminating guide to Medicare's evolution since the program's creation in 1965. The book immediately takes its place as the best short monograph on Medicare's political development, current status, and future prospects. . . . Well-organized, elegantly written, and jam-packed with sophisticated insights about the substance and process of U.S, policymaking, the book deserves to be read by anyone concerned with American national government, health-care politics, and the welfare state." --Eric M. Patashnik "Perspectives on Politics "
"Abrilliant little book, combining a grasp of programmatic and political detail sure to appeal to scholars of health policy with crisp prose and careful argument accessible to policymakers and most of Medicare s beneficiaries. . . . Oberlander s analysis is organized around three persistent tensions in Medicare politics: the gap between the program s promise and its performance; the fiscal and administrative tug-of-war between private provision and public payment; and the political and actuarial dilemma of delivering service benefits on a foundation of social insurance financing. . . . The meat of the book tackles the post-1965 history of Medicare s fragile consensus regarding program benefits, financing, and administration. --Colin Gordon "Health Affairs ""
Clearly, no one can claim to understand contemporary American politics and policymaking without understanding the Medicare program. Few scholars are more knowledgeable about Medicare politics than health policy expert Jonathan Oberlander. Combining rich, detailed narrative with acute political analysis, Oberlander offers an illuminating guide to Medicare s evolution since the program s creation in 1965. The book immediately takes its place as the best short monograph on Medicare s political development, current status, and future prospects. . . . Well-organized, elegantly written, and jam-packed with sophisticated insights about the substance and process of U.S, policymaking, the book deserves to be read by anyone concerned with American national government, health-care politics, and the welfare state. --Eric M. Patashnik "Perspectives on Politics ""